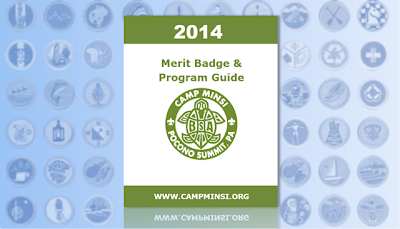 The 2014 Camp Minsi Program Guide is now available for all Scouts and leaders! 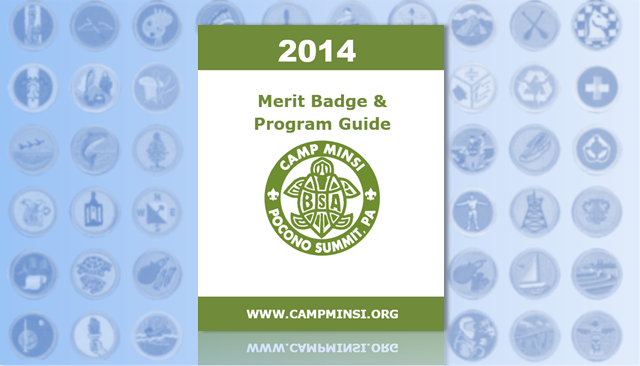 This guide describes the summer camp program - including merit badge information (schedules, pre-requisite requirements, costs, descriptions, and more), Camp Minsi's first-year camper program, our daily high adventure options, weekly program schedule, special camp-wide and evening programs, adult leader programs, and more! This guide allows you to be prepared and plan out your week at summer camp! Please, feel free to contact the program director, Greg Larson (CampMinsiPD@yahoo.com), with any questions.